Hearing Maureen Downey discuss the prevalence of fake wines around the world makes me want to run to my cellar and closely inspect my bottles. She believes one out of five bottles sold are fake. “If you combine all the types of fake wine from bulk wine that is mis-labeled varietally, to supermarket wines to Miraval rosé to Lafite, 20% is probably conservative,” says Downey. Considered one of the foremost authorities on counterfeit wines and dubbed as the ‘Sherlock Holmes of wine’, Maureen Downey is now taking her message to fine wine cities around the world. Downey is in Hong Kong the week of February 6th and she says she is especially concerned about fake wines in Hong Kong and China. She believes it is a “massively bigger issue” than elsewhere around the world. “Unfortunately, buyers in nascent markets are not as knowledgeable of what to ask about or look for with provenance, nor any aspect of wine authentication, leaving this market a prime target for counterfeiters and those selling counterfeits. As much as 50% of the fine wines in China are believed to be fake,” says Downey. Maureen Downey testified against Rudy Kurniawan, the Indonesian fraudster currently in jail in the United States for producing masses of fake wines. “The fake wine Rudy made and sold represents at least US$550 million in today’s market,” says Downey. “It’s hard to say exactly how much made its way to Asia but looking at all the Acker auctions [held in Hong Kong], and the brokering that has occurred, definitely more than half.” Controversially, Downey says John Kapon, the CEO of Acker Merrall, not only funded Kurniawan’s wine purchases but, “Rudy the great collector became a creation of Kapon, and was responsible for putting Acker Merrall & Condit the auction house on the map,” adds Downey. Avoiding fake wines means doing your homework and being vigilant about the provenance of the wines and the source. It is useful for auction goers to note Downey’s all-time 10 most counterfeited wine producers in the world: 1. Château Petrus; 2. 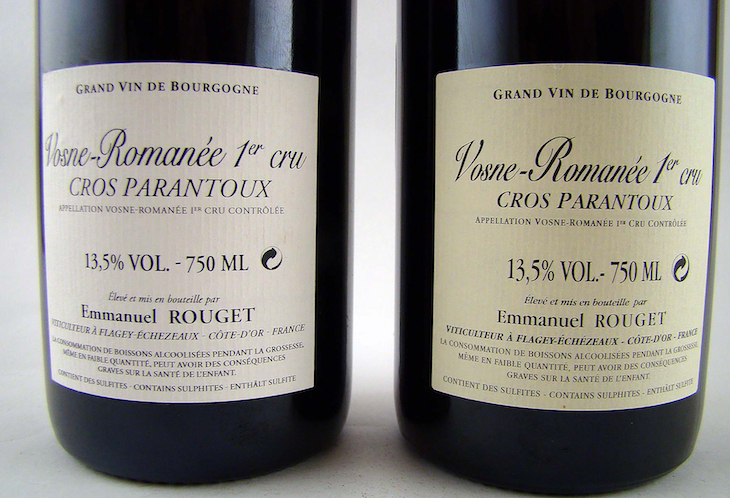 Domaine de la Romanée-Conti; 3. Château Lafite Rothschild; 4. Château Mouton Rothschild; 5. Château d’Yquem; 6. Château Lafleur; 7. Domaine Comtes George de Vogüé; 8. Domaine Henri Jayer; 9. Château Haut Brion; 10. Château Cheval Blanc. Downey will be offering a presentation as well as two wine authentication training classes in Hong Kong from 6-9 February 2017. To sign up, click here.